Help Us Grow Coffee in Haiti! All donations of $125 and above will recieve a special thank you gift. Each set includes. 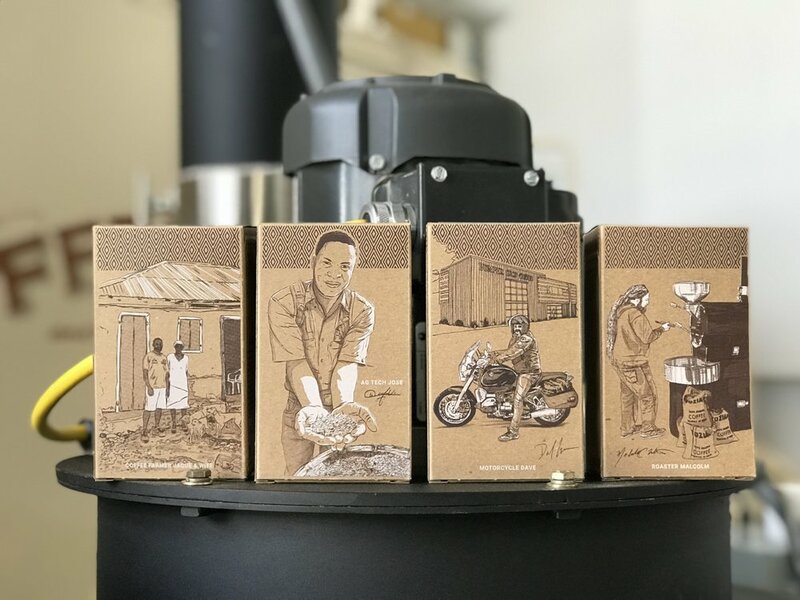 . .
Four 4oz samples of four different varieties of coffee from northern Haiti including hand drawn screen printed artwork as well as the story of the coffee and the process on each box.